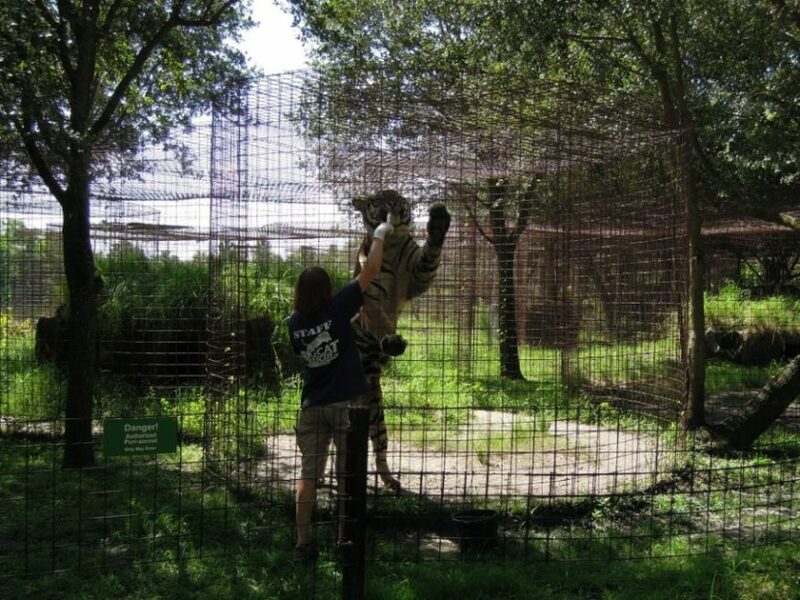 ACTION ALERT -Big Cat Rescue is NOT secure!!! HURRICANE ISAAC UPDATE!!! ALERT!!! PLEASE FOLLOW THE COMMENTS!!! Florida Gov. 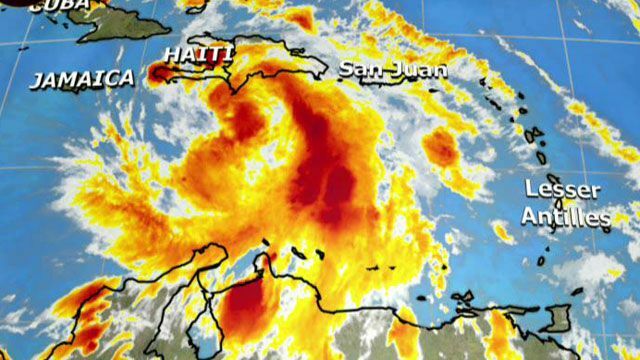 Rick Scott has declared a state of emergency as Tropical Storm Isaac approaches the state. Scott said the goal was to make sure every local, state and federal agency “has the exact same information” on the storm and preparations in order to make informed decisions. He issued the state of emergency Saturday during a media briefing in Broward County. The state is also focusing on preparations ahead of the Republican National Convention in Tampa. Scott said delegates were being information on how to remain safe during a storm. Officials in the Tampa area were also being kept informed of issues that may occur due to Isaac, such as storm surge and bridge closures. Tampa airport remained open Saturday. Frankly I wonder if the city officials are aware of these violations. It is once again hurricane season…Will Tampa be so lucky this year?!? It would be tragic should there be a call to evacuate and there’s no way this facility has the proper transport equipment for all those animals. As already pointed out, only an exhibitor or animal transporter would have this equipment. It is of my opinion and others, that there’s no way for Carole Lewis Baskin to hire an animal transport company with enough equipment for the large number of animals held at this facility. It’s not a matter of just purchasing a truck…It would take at least ten semi tractor/trailers to evacuate the animals and transport caging for each animal. Not to mention that the trailers would all have to be converted to meet the standards of the USDA. 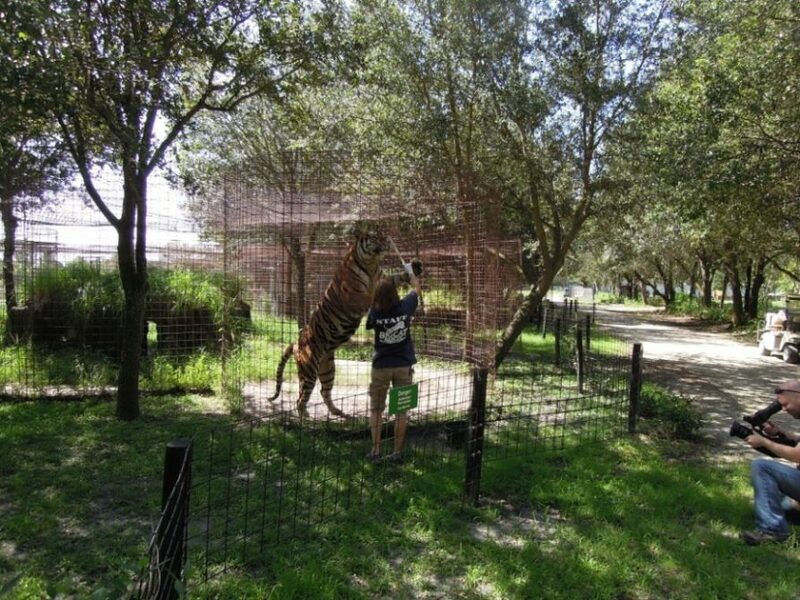 If Tampa takes a direct hit then so does Big Cat Rescue of Florida with caging held together with only hog ties and no support bracing…well, I am sure you see what I am getting at…A tragedy GREATER than Zanesville just waiting to happen!!! **Disclaimer in place for this blog…What goes around comes around and in my opinion the things said in this post and the poster represent my opinion and the opinion of others and need to be shared…Feel free to share WILDLY!!! This post is more than justified and of great concern!!! ~ by topcatsroar on August 25, 2012. It’s okay. There”ll be enough Republicans and protesters nearby that any escaping animals will be well-fed and easily re-captured. 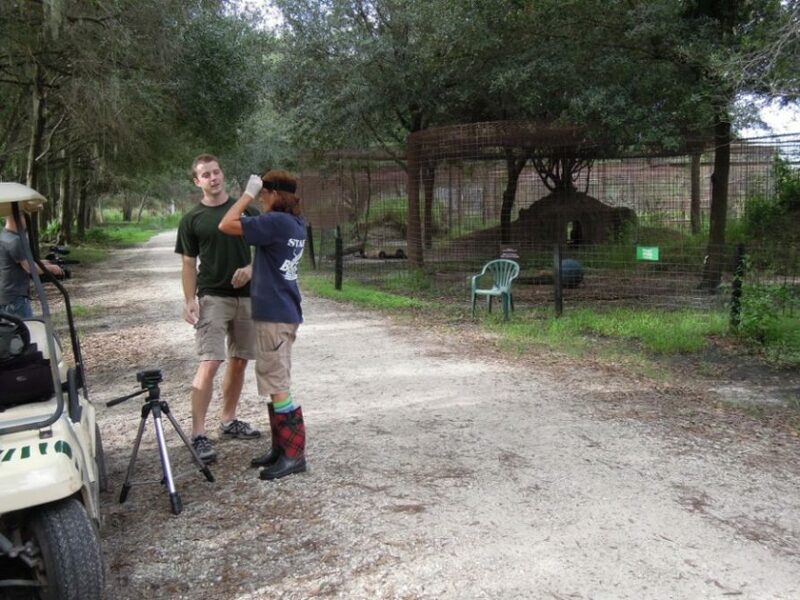 After all, they’ve been trained to hunt domestic rabbits, and many of those visitors will be wearing white…The Tampa cops will probably do the same thing the New Orleans cops did… split. Evacuate and save their own butts. Hopefully the perimeter fence will hold should one get out but wondering on their plan to capture!!! Sometimes it is necessary to shot but only as a last resort and certainly not within a cage or perimeter fence…shut the door and have a secure perimeter-HELLO!!! Does this look safe during a hurricane?!? Where’s the lock out?!? Under the bushes?!? Is that all the shelter this tiger has?!? Don’t be surprised if this picture disappears!!! I am writing to inform you and your office, of the concerns that the citizens in your community have regarding the facility Big Cat Rescue of Tampa Fl. 1. This facility is operating under the guise of a sanctuary. A true sanctuary does not open it’s doors to the public, so this facility is in fact a roadside attraction, that continually defrauds the unsuspecting public for monetary gain. 2. This facility continually violates FWC laws, and has been allowed to do so with no repercussions, until recently. 3. This facility is operating at a substandard level. Are you comfortable knowing that their caging for the large cats kept there is no more than hog wire, held together by hog ring clips, and anchored a few inches into the ground. Should the clips break, the hod wire will spring back to it’s original shape, thus freeing the animal. There is no acceptable perimeter fencing, although the facility was ordered by the FWC to construct a minimal standard perimeter fence over 2 years ago, it has yet to be completed. This facility can spend over $100K to attend a fundraiser in Washington DC, but not spend the money to ensure the safety & welfare of the neighboring citizens, or the animals in it’s care. Imagine if you will, large cats running amuck in your city Mayor Buckhorn. What contingency plan is in place if this happens, I’m sure that you wouldn’t want the Zanesville incident happening in your city. At this time, your city is under a tropical storm warning, and this facility does NOT have a remotely feasible emergency evacuation plan for the 100+ cats that it is currently caring for. It would take over 10 specially designed USDA approved tractor trailers to properly evacuate the animals. There is a laundry list of felonious criminal acts that the owner Carole Lewis Baskin has been involved in and allowed to get away with. I along with a number of other constituents have had enough, and feel that if enough light is shed on this problem that maybe governing officials will act accordingly, instead of turning a blind eye. I am so glad someone gets it!!! Thankfully the Hurricane is now headed West…May not be so lucky next time!! !Tampa will still get the outer bans but dodged a bullet…and What about next time and the storms coming down the tubes …will they be so lucky next time and still not out of stormy weather…Will BCR flood once again?!? follow this link for USDA inspection report!! !